The sound of church bells, like Morris dancing and warm beer, is an essential part of life in an English village. Stonham Aspal’s church is home to a magnificent set of 10 bells and to the dedicated group of men and women who turn out to ring them. The most obvious sign of the bells – apart from their sound – is the wooden belfry, rather incongruously placed on top of the flint and stone tower. 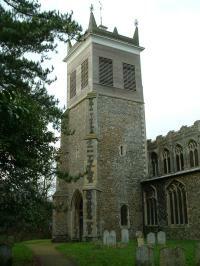 In earlier times the church had a quite normal tower, and had just five bells. In fact, fewer bells are much more usual, as with Earl Stonham’s five today. Even the ‘town’ of Debenham has only eight. 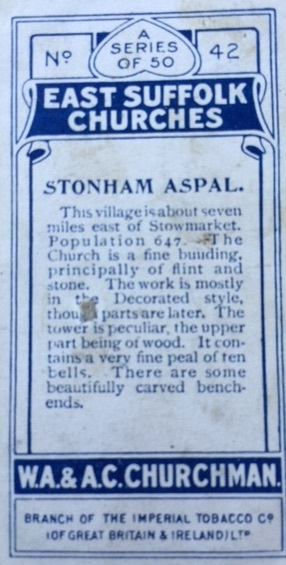 It would probably still be the case in Stonham Aspal, but for the wealth and interest of Squire Ecclestone of Crowfield. The good Squire was a keen bellringer, but found the five bells to limit the range of methods (roughly equivalent to tunes) he wished to ring. In 1742 he had the five bells improved to a ring of ten. This gave some space problems, as the belfry could not accommodate the extra bells. His solution was to lop off the top of the tower, and replace the stone walls, which are a couple of feet thick, with thin wooden ones. Although the bells now swing on ball-bearings instead of the plain bearings that the Squire would have installed, and a number of the bells have been re-cast, the massive elm frame in which the bells sit is the same one installed more than 350 years ago. It is also fascinating to think, as you ring, that people in England have been ringing bells in this identical way since at least the sixteenth century. To many people, bellringing appears a mysterious almost feudal activity. 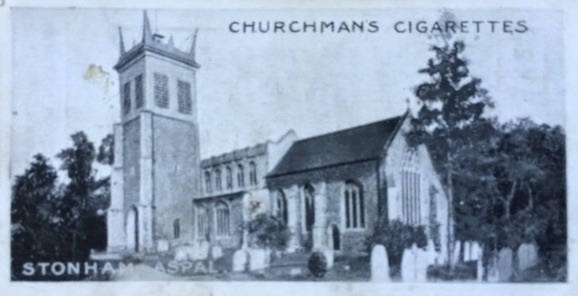 Perhaps this is because whilst people within a five-mile radius of Stonham Aspal will have heard the bells, almost no one ascends the steep wooden stairs on the left of the church porch to see the ringers in action. So imagine the scene in the ringing chamber. Ten ringers (the band) stand around the walls, almost filling the small space. In their hands they each hold one of the ten bell-ropes, by the end and by the thicker, coloured section of the rope – the sally. The ringer of the smallest bell (the treble) calls the band to order by saying ‘All hold, treble going…and gone!’ With that, all ten pull off their bells in turn, creating ‘rounds’, the standard rolling sequence of bells we all associate with wedding celebrations. This is the most basic form of ringing, and most ringers progress to much more complex patterns. So the next time you are walking along The Street, and you hear the bells, count the number and listen for the evenness of the pattern. You should be able to hear each bell, and none should be too quick or too slow. And if you wish to instantly impress a companion, nonchalantly say, ‘They’re ringing on just six tonight, but that third is a bit slow’. 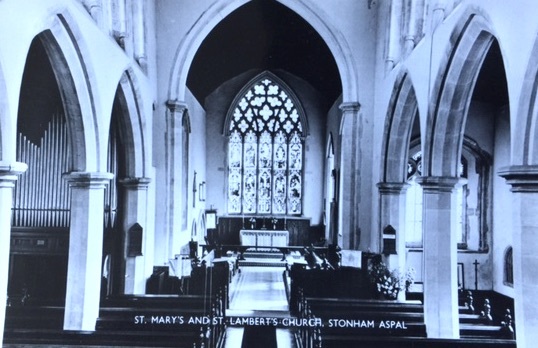 We practice on the 2nd and 4th Thursday at Stonham Aspal, and the 1st, 3rd and 5th Thursdays at Earl Stonham church. 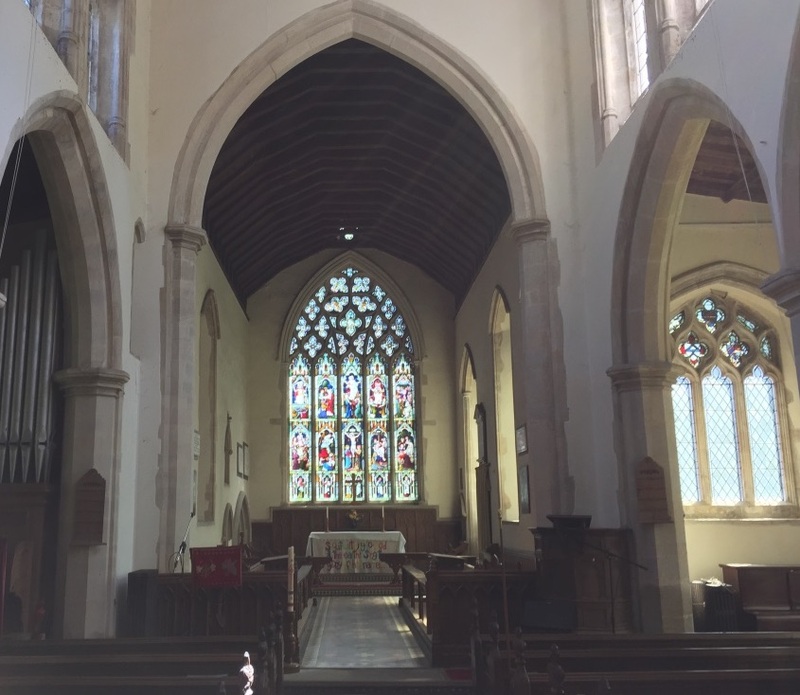 We also ring for services usually on the first and third Sundays, when there is a 10.00 am service (we start ringing at about 9.30am). Anyone is welcome to join, although be warned that once you start ‘the exercise’, it is addictive. For details call Roy Newson on 01449 711357.